When mobile phones entered our lives, we made sure to use the device to possible limits. So much, so that a simple ‘Notification’ of a Missed Call was turned into a powerful ‘alerting system’. Today, ‘Missed Call coupled with SMS’ has emerged as a powerful tool for Government & businesses to connect with masses over a completely different vertical. A proficient means for Notifying, Alerting, Voting, Sampling, Survey & Feedback ! Central Bank of India used this facility to serve over million customers across India by giving them the privilege of checking their account balance over a missed call backed by SMS. Now we would like to know from you ..
please leave your comments .. Being amongst top 18 Public sector banks in India, Central bank serves 27 out of 29 Indian states and 3 union territories with its 4214 branches and 26 extension counters. Serving a million customers across India. Central Bank experienced a single query, common to all its customers across India.. What is my account balance? A query that has been consistent over past 102 years! Knowing account balance is vital for customers and the bank had strived to do its share to ease its customers by providing multiple ways to acquire it. But each mode had major drawbacks. Some demanded time & cost while the others required smart phones and sound knowledge of internet. All in all, bank & customers both were left unsatisfied. The service was initiated in September 2011 over the no. 92222 40000 for Balance Inq. / 92222 50000 for Last 3 transaction details for customers across India. The numbers were published as a new means to acquire up-to-date account balance information. With our freebi the process was as simple as .. The result was astonishing. The service faired extremely well as it proved to be time & cost effective for customers and bank alike. Central Bank of India’s happiness knew no boundaries as it basked in the new brought success by VivaConnect’s freebi. It saved a million minutes of Central Bank’s employees which were earlier spent answering customers balance & transactional queries. The product helped the bank in ways more than one .. The vivacious entrepreneur shares his insights over current driving trends & innovative practices within India’s mobile marketing space. The Director gets candid as he talks about key areas of his company’s focus and the challenges that he faces, in the mobile marketing scenario. He also explains how advertisers fail to understand the true potential of Mobile marketing as they sideline this mighty medium. Who knew that a mobile app could increase our sales plus put a smile over my staffs face! Expresses Bhishma Choudhary of PONCHO, as we all celebrate at a busy PONCHO Indiabulls outlet (Parel). 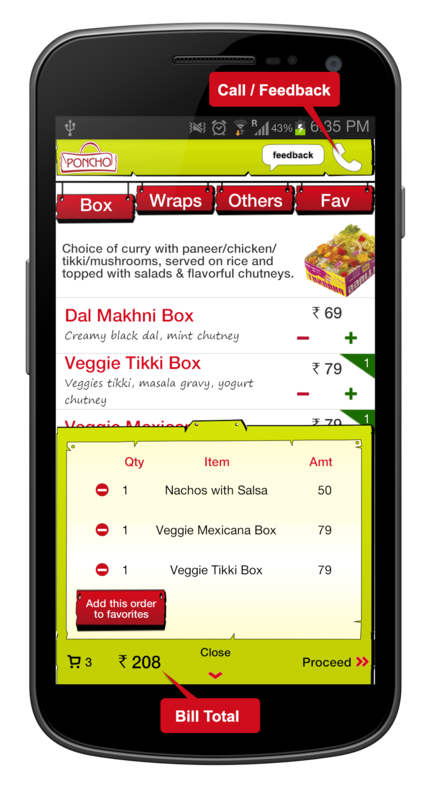 savoring the success of PONCHO Mobile app designed & developed by VivaConnect. It’s another feather in VivaConnect’s cap! Then the obvious question – Why a mobile app? We knew that we could design an app which would easily snuggle into PONCHO’s existing workflow without hindering their staffs activities. 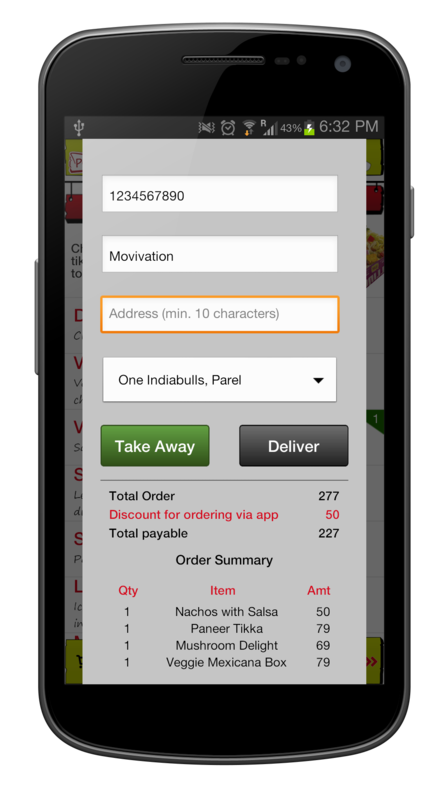 The app would be registering & delivering confirmed orders to the staff. Relieving them from order taking process. Thus giving them much-needed quality time for preparing & delivering orders. 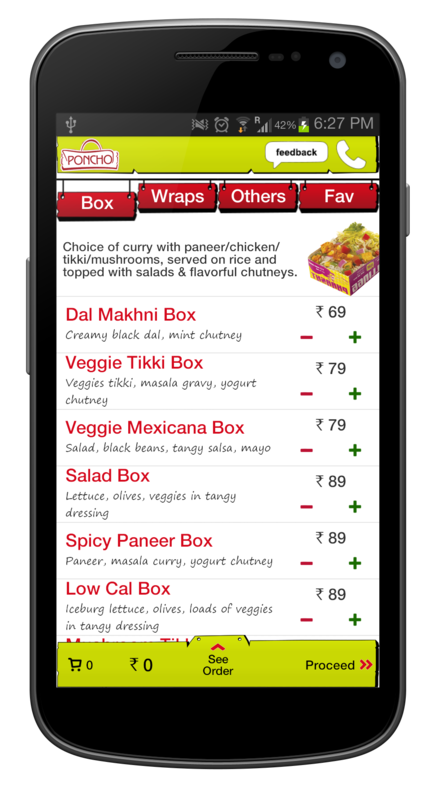 Following numerous brainstorming sessions at VivaConnect, a mobile app was ideated, developed & delivered within a month. Following rigorous testing & modifications, the PONCHO mobile app was launched by April 2013. Readying for high skies ..
What started as a small venture in 2001 is now an enterprise reaching corners of India with its unmatched mobility services and solutions. Presently its serving leading Nationalized Banks, Media Channels, Insurance Companies, Builders & FMCG brands to name a few. Though a decade down the line, yet its just a beginning for Vikram Raichura – The humble yet aggressive mind steering VivaConnect, India’s leading Mobile Marketing & Solutions company. Follow the link to know more about Vikram Raichura’s future plans for VivaConnect at Telecom Lead.